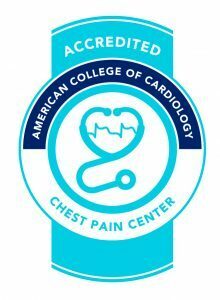 As a nationally accredited Chest Pain Center, experts at Jersey Shore University Hospital collaborate to recognize and treat heart attacks quickly. An integrated team that includes the Emergency Department, EMS, specialists, and hospital professionals have developed processes that facilitate rapid diagnosis and treatment in critical, early stages. This protocol-driven approach closely monitors patients at risk for acute coronary syndrome, in order to assess the need for immediate care or by managing the patient in a more appropriate setting.